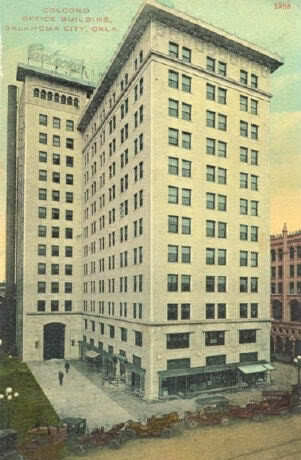 Luxurious from its beginnings in 1910 to today, the Colcord building was the first skyscraper in Oklahoma City. At 12 stories, it was built by architect William Wells for owner Charles Francis Colcord, a former U.S. Marshal and prominent businessman. 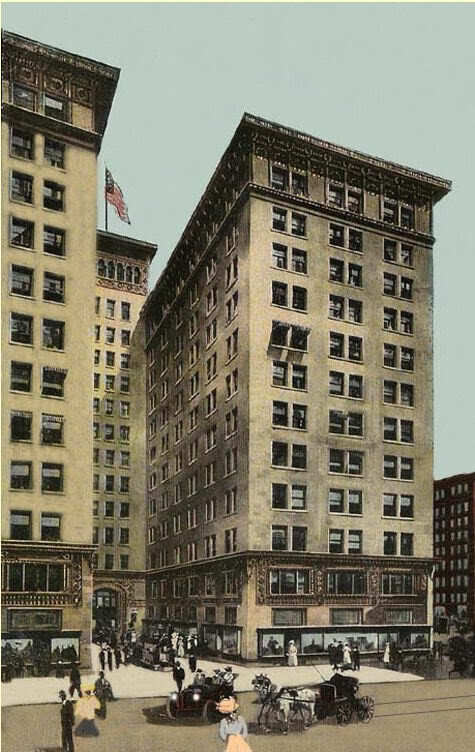 It was constructed of reinforced concrete at the request of Colcord, as he had witnessed the devastation resulting from the 1906 San Francisco earthquake. Up until recently, no one would have considered Oklahoma a hotbed of earthquakes. How could he have known that 100 years later Oklahoma would be earthquake-prone? 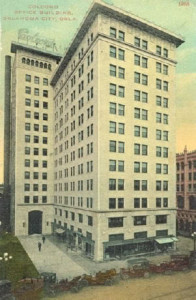 It was originally supposed to have two wings, as seen from a postcard/rendering dated 1909. But only one was built. It was also supposed to be a hotel, but actually started life as an office complex. You can also see from the various images that the sign first started on the narrower portion, then was either moved and a new one placed on the main part of the structure. It wasn’t until 2006 that it finally became a hotel. 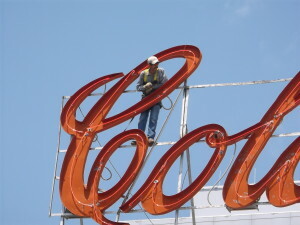 The current Colcord owner, Devon Energy Corporation, made the decision in late 2014 to update the iconic, single-sided, single-stroked neon signs. They decided to have the north elevation sign completely removed and the south-facing sign retrofitted with LED lighting. The neon tubing and guts of both signs plus the old channel-style metal letters of the north elevation sign were donated to the Billboard Museum Association in 2015. The sign itself is 12 feet by 36 feet. 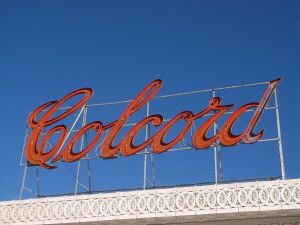 It has been noted that the shape of the sign itself is based on Mrs. Colcord’s signature. 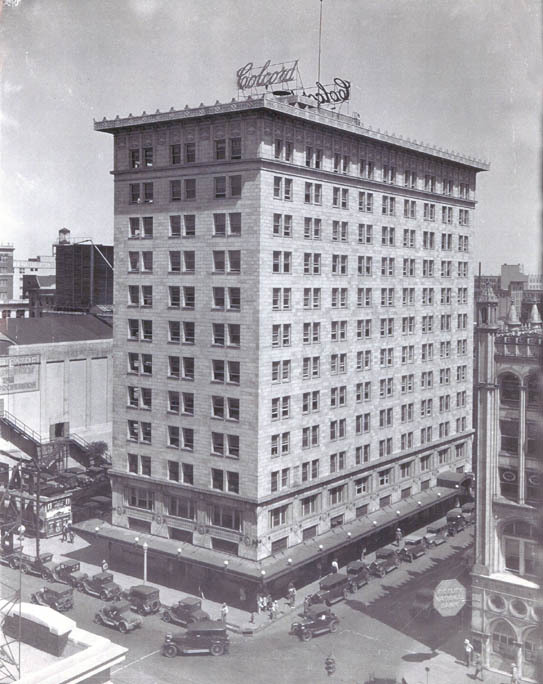 The signs were, as near as we can determine, the first neon signs in Oklahoma City and among the earliest in the United States. We hope further research will more firmly date the signs and place them in context of neon sign history. It appears so far that neon signs in the US may date back as far as 1913. We are estimating it will take $2,895.00 to reassemble the pieces and place it on a rolling frame. 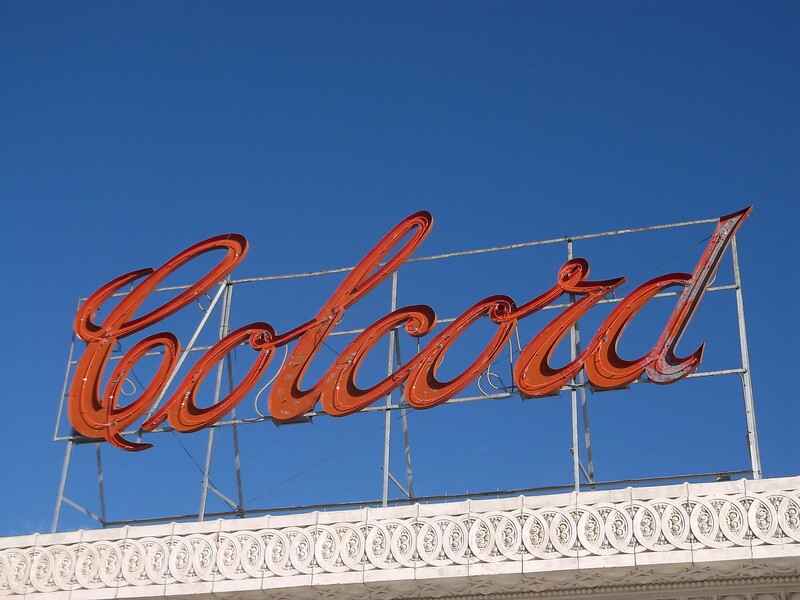 Please donate to help us restore The Colcord Sign.